In Fulham Bishops Park: our site in Fulham is located in the Pryors Bank Pavilion (former Cafe), in Bishops Park, SW6 3LA (right next to Putney Bridge). You will find us in this address on Mondays to Thursdays afternoon and on Saturdays morning, or by special appointment. 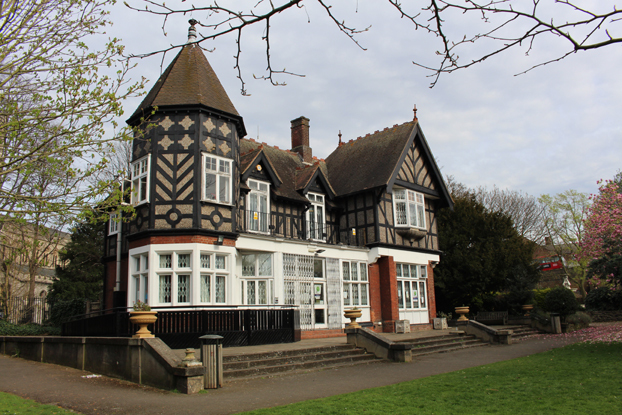 We’re based in the Pryors Bank Pavilion (former Cafe) in Bishops Park SW6 3LA. To find the Pryors Bank Pavilion, the reference point is the tall building of Premier Inn Hotel on Putney Bridge Approach. In front of the hotel, crossing the busy road, there is a big iron and stone gate that signals the entrance of the park. If you go through the gate, you’ll see All Saints Church Fulham on your right hand side and on the Pavilion your left. Entrance is through the main door, round the corner and facing the river. Parking and public transport: visitors are not allowed to park in front of the Pavilion but there are parking facilities on the other side of the road. Please contact us for more details. You also have convenient public transport links, such as buses (22, 14, 74, 220, and more) with a bus stop situated just metres away, on the bridge. The closest tube station is Putney Bridge (District Line train to Wimbledon), 2 minutes walk from us. Our Chelsea site is located on the side of the Christ Church, 3 Caversham Street, SW3 4AF (near the Old Town Hall). This is the location in Google Maps. Our Putney site is located in the Community Church (Baptist Church), 7 Werter Road SW15 2LL. This is the location in Google Maps.